The Mt. Vernon Animal Shelter has been saving animals for over 40 years. Their caring staff serves lost, abandoned, and unwanted animals in the city of Mt. Vernon. The Residents and Staff of Sprain Brook Manor Rehab decided in preparation for the holiday season to give back to the Mt. Vernon community by helping bake some treats for the countless animals that will be waiting to get a home this holiday season. Using several dog friendly ingredients and a lot of elbow grease, the residents at the Yonkers rehab center created countless dog biscuits for man’s best friend. When the residents were done mixing the ingredients in metals bowls and rolling them out on trays, the treats were baked and then ready to be delivered. 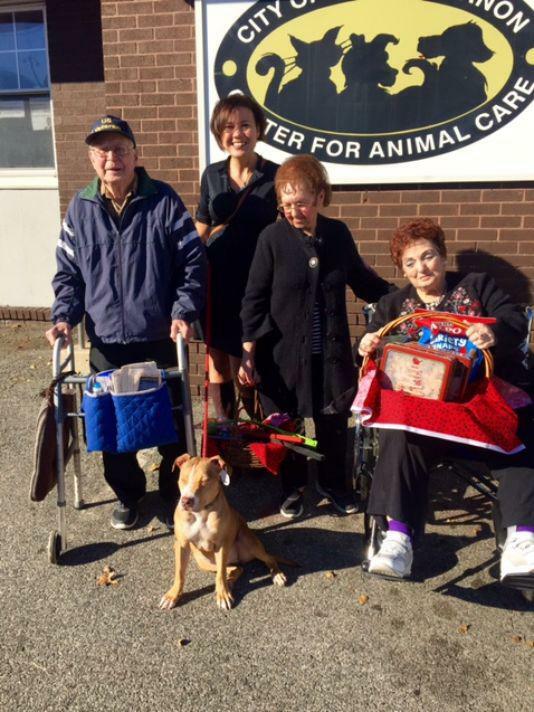 Residents then transported the treats and dog toys to the Animal Shelter to where they could be distributed to the very happy and excited dogs. If you are looking to adopt an animal or would like to volunteer at an animal shelter this holiday season please visits the Mt. Vernon animal Shelter’s website. They have several opportunities for volunteers including performing shelter duties and transporting the animals. You can also see the Sprain Brook Westchester Nursing Home animal shelter visit in lohud. 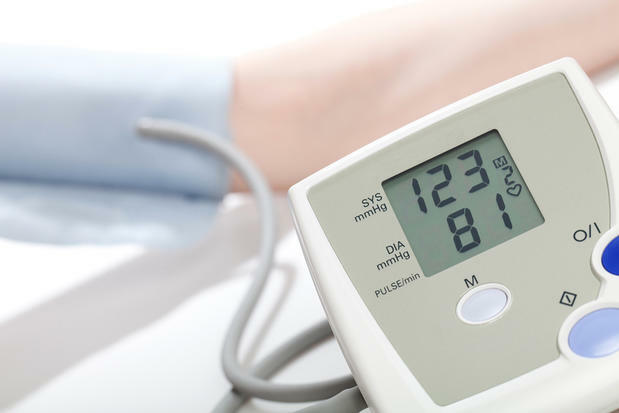 A new study published in the New England Journal of Medicine may lead to a major change in what is considered high blood pressure and its treatment. The randomized control Systolic Blood Pressure Intervention Trial (SPRINT) included 9,361 participants who were enrolled in the study from November 2010 to March 2013. The study’s goal was to compare the benefits of lowering systolic blood pressure to 120mm Hg versus 140mm Hg. The results of the study showed that in adults without diabetes lowering systolic blood pressure to 120 mm Hg versus 140mm Hg significantly lowered the rate of fatal and nonfatal cardiovascular events. Those in the 120mm Hg group had a 25% lower risk of a fatal and nonfatal cardiovascular event, a 38% lower risk of heart failure, a 43% lower risk of death by cardiovascular causes, a 27% lower risk of death overall from any cause during the follow up period which lasted about 3.26 years. Two hundred and ten deaths occurred in the 140mm Hg group versus 155 deaths in the 120mm Hg group. Results of the study are compelling giving that it included such a large sample size, had a diverse population and achieved the target of creating two groups with separate blood pressure targets. The study does have some limitations as it did not include anyone under 50, individuals with diabetes or those with a prior stroke. This study suggests that the target goal for systolic blood pressure should be around 120mm Hg, which may pose a new challenge as systolic blood pressure control at 120mm Hg is only achieved in about 50% of the population. In addition, individuals in the 120mm Hg group had significantly more adverse effects to the intervention including higher rates of kidney injury or acute renal failure. Hopefully the SPRINT study as well as other large cardiovascular related studies underway will continue to shed light on heart disease and prevent death and nonfatal cardiovascular events. For those that have a loved one that has already had a non-fatal life changing cardiovascular event this study may be too little too late. Now it is time to focus on getting your loved one the top rated rehab in Westchester. Sprain Brook Manor’s skilled nursing care can help your loved one recover faster so he or she can get back to their lives. This post is provided by Sprain Brook Manor Rehab rehabilitation center Westchester which Provides unique opportunity to recover from medical procedures that result in true satisfying results. Sprain Brook Manor Westchester nursing home getting you stronger and better every day. Contact Us today to receive more information. Disclaimer: The information provided in this post in not intended to be construed as health advice, nor should it be considered a substitute for obtaining individual medical counsel or consulting your physician.